Art is magical. Artists are really just wizards at heart. Only instead of a wand, they use a pencil, paint or in this case light. Extremely bright, colorful beams of light. 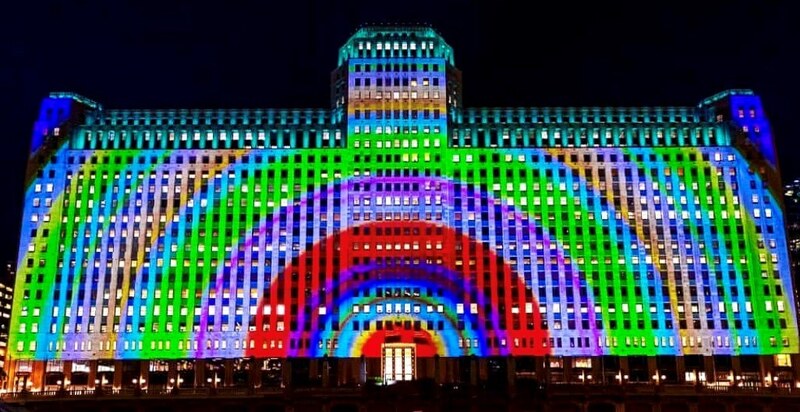 Enter the world’s largest permanent digital art installation in the world: Art On theMart. 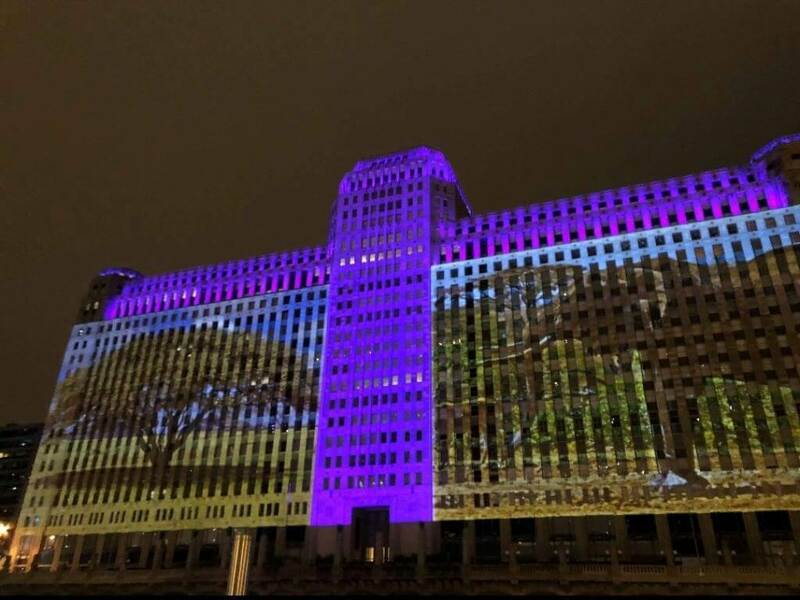 Chicagoans got their first look at 2.5 acres façade overlooking Wacker Drive, as it transformed into a vibrant canvas of bold colors last Saturday. The dazzling nighttime projection will beam about 200 different pieces of art onto the building for two hours each night, five nights a week for 10 months at a time (March – December) – until 2048! That’s a lot of art. Featuring work by four contemporary artists, the privately-funded $8 million project was paid in full by Vornado Realty, the company that actually owns theMart. This is the first time a projection of this massive size and scope will be completely dedicated to digital art without branding, sponsorship credit or any messaging. Obscura Digital, known for its large-scale architectural projection mapping on famous buildings around the globe like the Conservatory of Flowers in San Francisco and the YouTube Symphony Sydney Opera House, has partnered with Vornado and architecture firm Valerio Dewalt Train Associates to design and implement the projection system that will illuminate theMart with 34 projectors. Nearly one million lumens will be projected on the building’s façade! Now that is something that all tourists, locals and art lovers can enjoy. This just proves that nothing is off-limits when it comes to creativity. Make sure to plan your visit to Chicago very soon.